, 2017, performance, variable duration. 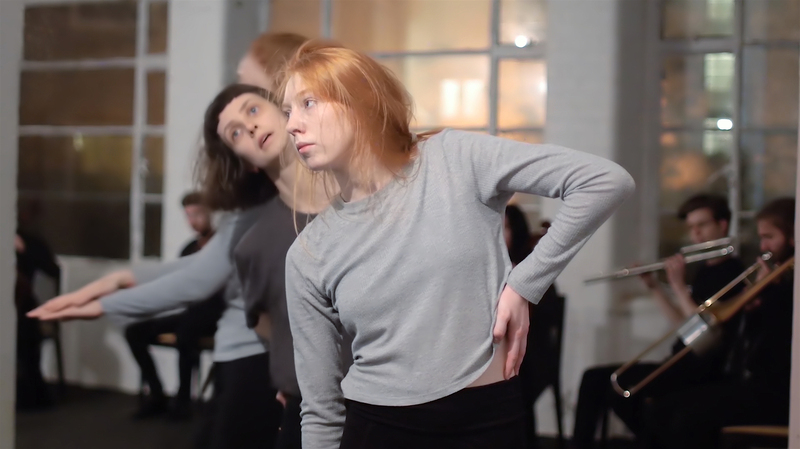 A group of dancers slowly traverse a given space at an almost imperceptible rate using physical gestures derived entirely from death scenes in cinema and ballet. They are accompanied by large mixed ensemble performing cycles of ornamented musical phrases which explore cadence. , 2018, hard bound book with hand painted marbling paper, 13 x 18cm (edition of 10). To a Certain Gentleman is composed from examples of apologias (pre-emptive defences for the author’s position) and genuinely apologetic statements, taken from prefaces found within the collection at The Portico Library, Manchester. 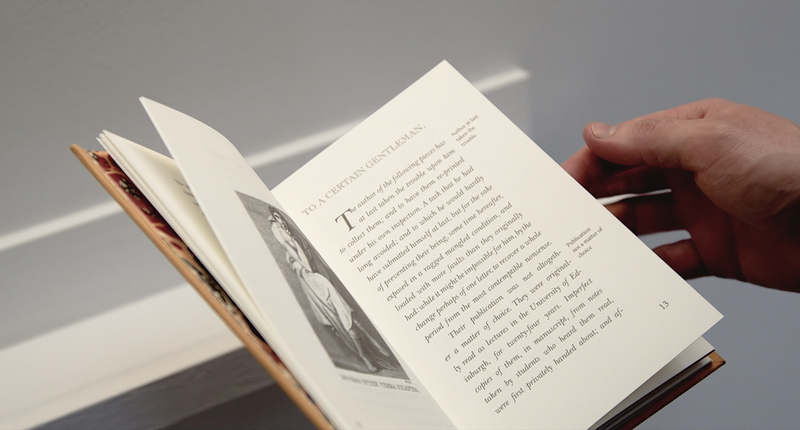 All of the texts that comprise the book were written by male authors; many by, and for, so-called “gentlemen” of the Victorian age, though others range from Biblical times to the early 20th century. The book fuses dissonant authorial voices, alternately revealing pomposity, vulnerability and self preservation, to form a single self-indulgent preface, referring continually to a text that never arrives. , 2016, performance, variable duration. 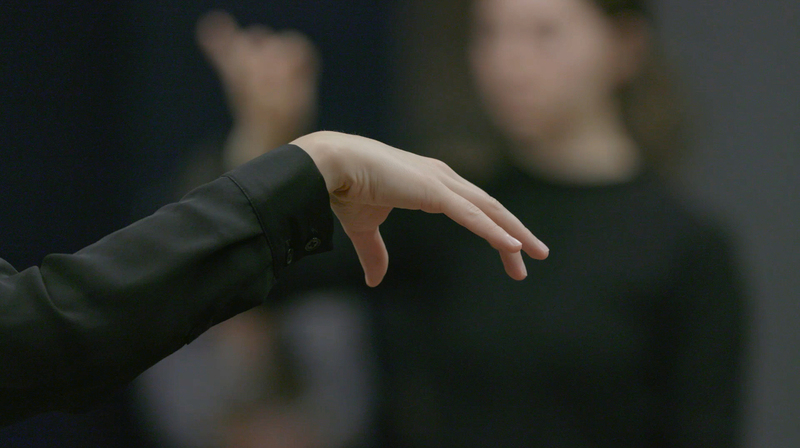 A long duration performance for non dancers choreographed from archive footage of haptic interactions with now obsolete technology, mapped onto a cycle of repeated musical phrases. In collaboration with Jack Sheen. , 2016, single channel digital film, 02:50. Violinist Sarah Saviet listens back to a recording of herself practicing "Four Lauds" by Elliot Carter. 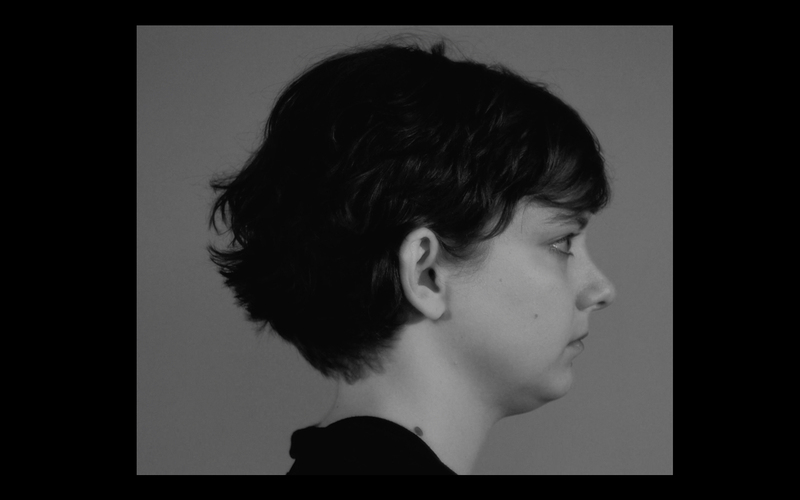 Presented without audio, the film is an attempt to activate a collective perception of sound as readable through the body, whilst initiating a space in which viewers may listen to themselves listening. Made on a residency at Aldeburgh Music.